4. Glue on a large popsicle stick. 5. Wha la! 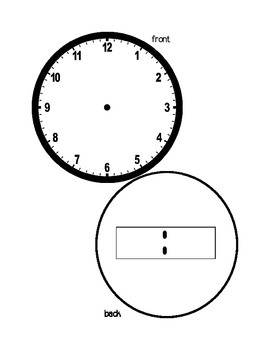 You have individual clock for each student. They can use a dry erase marker to draw and write their time. Erase and reuse every day!